Investors Club - a platform for live interaction and exchange of experience! Earn with us! Join the Investors Club and get access to a closed group, where you can be the first to receive information about new promising investment projects and useful materials for investors. If you want to be confident in your financial well-being and the future of your family, children and loved ones, you must act now. We will help you create your personal financial plan and find the best investment tools. We regularly monitor current investment opportunities in real estate, business projects, financial instruments and offer the most interesting options for your tasks and goals. Currently, anyone can purchase shares of companies of world famous brands, for example, Google, Apple, Facebook, Coca Cola, McDonalds, etc., and receive dividends from the profits of these companies. Professional legal and financial advice from experienced lawyers and economists on exclusive terms are always available for members of the Investor Club. Trading robot advisor is an ideal solution for those investors who want to fully automate the process of trading, eliminating the human factor and emotions, providing an instant response to the market situation. Investing in stocks is an investment in a real business! Buying shares of large reliable companies, you acquire a share in these companies and can receive income not only due to the increase in the value of the shares themselves, but also dividends from the income of the companies. Investment in real estate is traditionally one of the safest ways to invest. However, if we are talking about earning income, and not just about the method of saving funds, it is necessary to take into account many subtleties and nuances. The use of alternative / clean energy is a very promising direction and is strongly supported by the state. 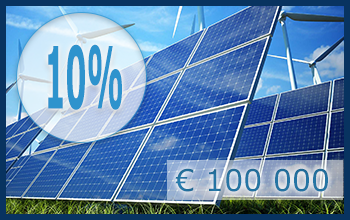 We offer investors investments in the construction of solar power plants in Spain or the purchase of a share in the already built and ready to launch / operating stations. 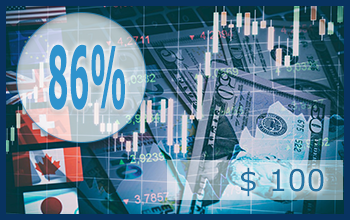 PAMM (Percentage Allocation Management Module) account is a managed account in the foreign exchange market. The main advantage of the foreign exchange market is its stability, because any depreciation of one currency means the growth of the rate of another relative to it. For investors from € 500,000, it is possible to obtain a residence permit (an investor’s golden visa), entitling him/her and all family members to reside permanently in Spain for an unlimited time, and also freely enter EU countries.